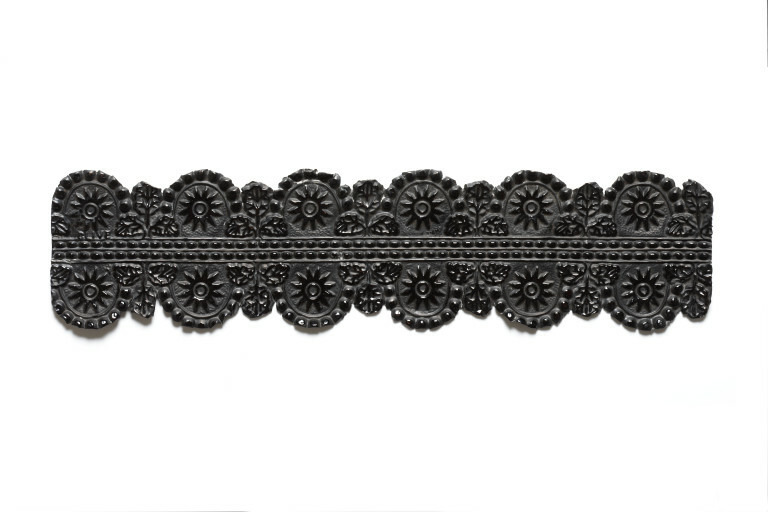 A very similar design for coffin lace can be seen in an undated catalogue for the Birmingham firm of Newman Bros. Newman's supplied some of the finest coffin furnishings available. Before they closed in 1998, they supplied furnishings for the funerals of Winston Churchill, Neville Chamberlain and Princess Diana. Coffin-lace. Tin foil. The thin length of foil has been stamped with a design of stylised flowers and painted black (possibly to resemble lead). It is hard to imagine the extent of coffin decoration in previous centuries. In the 18th and 19th centuries, coffins were adorned with stylised metalwork. The heavier and more ornate the metal, the higher the status of the deceased. As cheaper materials and techniques were introduced, styles and designs could be cheaply copied. An observer in the Morning Chronicle in 1851 reported that undertakers sought coffin furniture for their clients that was 'tasteful, new and uncommon to produce'. 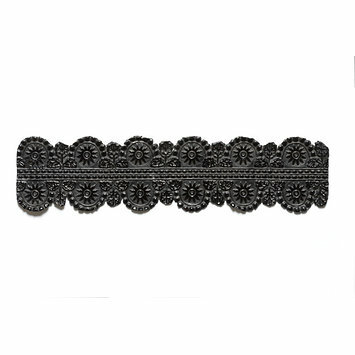 This tin 'lace' would have decorated a coffin. It was made using the industrial process of die-stamping, and has been painted black so that it resembles heavier and more expensive material lead. 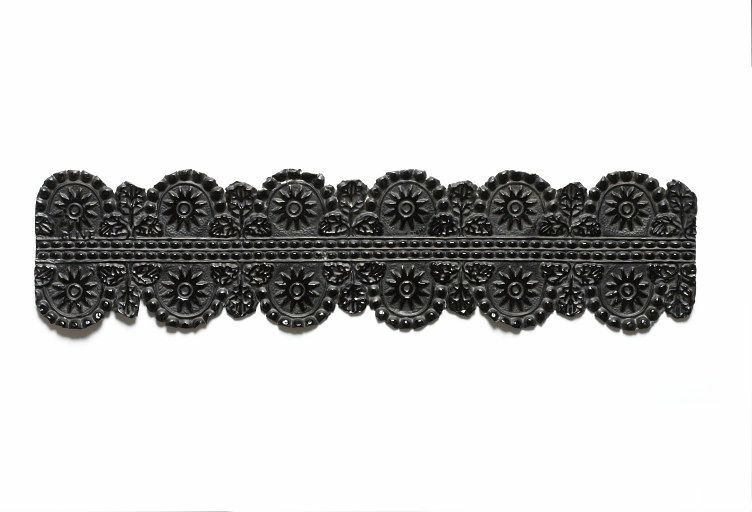 This delicate tin 'lace' was made to decorate a coffin. Before 1800 coffins were usually adorned with brass and pewter ornament, sometimes quite expensively. The development of industrial rolling and stamping machinery enabled tin lace to be produced more cheaply and for a wider market. Manufacturers competed to create the most elaborate designs.